. 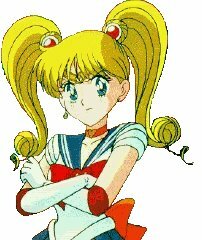 : Lunar Palace v.5 - Japanese: Sailor Venus :. Venus started about a year before any of the other senshi were born. 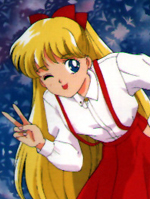 She was in England and went by Sailor V. During a fight with a monster, the building blew up and Sailor V escaped, but Katarina (her closest friend or something like a sister and a English police officer in London) thought she died. As Sailor V staggered in to the alley she discovered that Alan (the British man she loved) was in love with Katarina, and she faked her death and came to Tokyo.